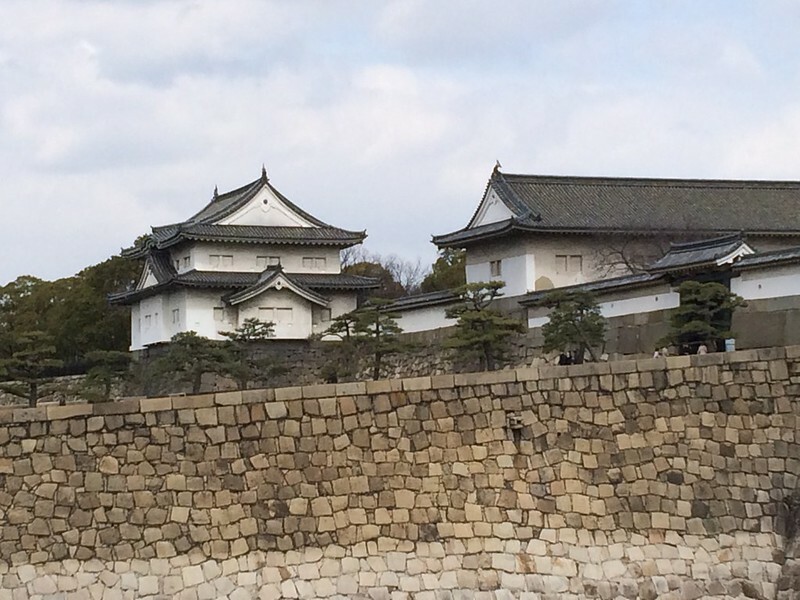 The Sengan-yagura Turret served to protect tho Ote-guchi Entrance of Osaka Castle from the side. 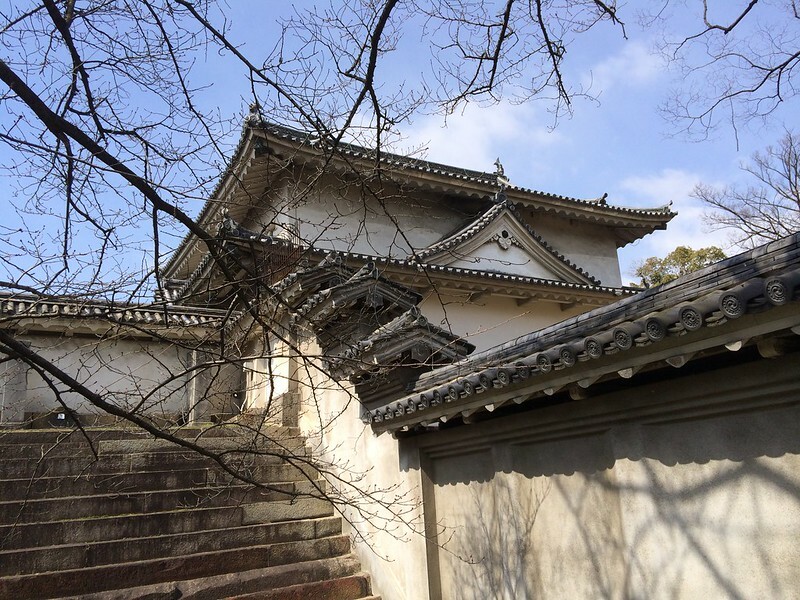 Built during the early Edo period in 1620, this turret is one of the oldest buildings still standing on the premises of Osaka Castle. 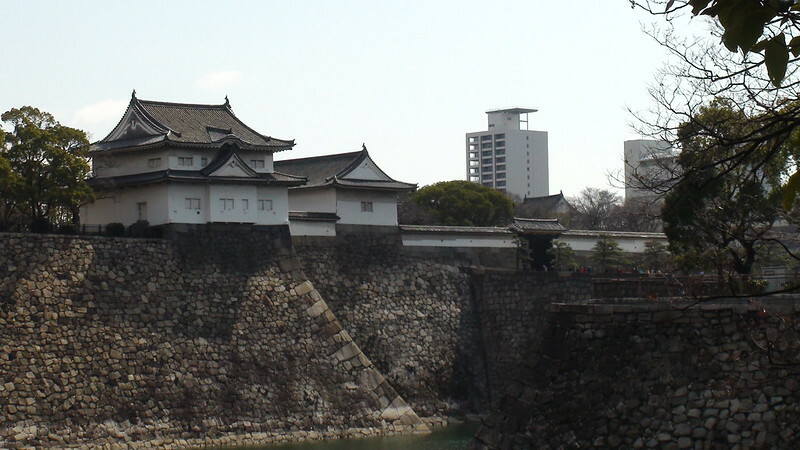 The original Osaka Castle, built during the Toyotomi period (late 16th century) that preceded the Tokugawa shogunate, also had a turret named the Sengan-yagura. 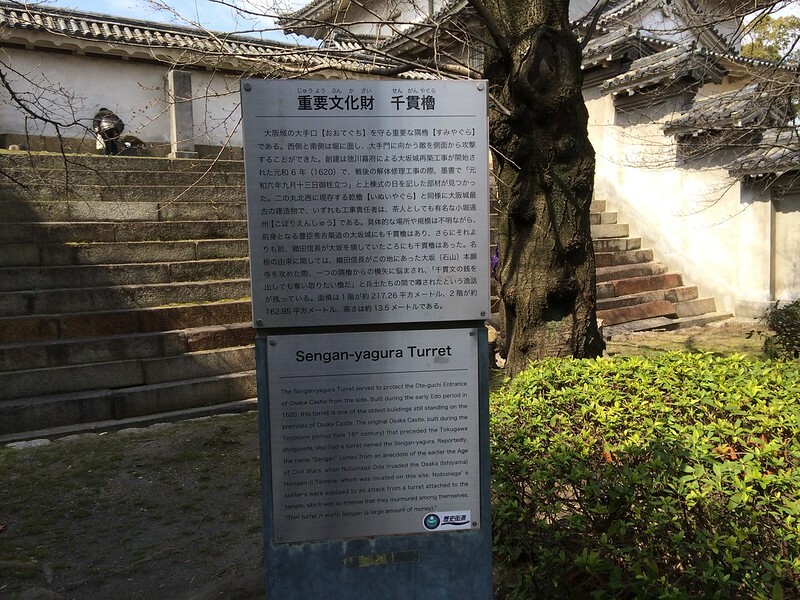 Reportedly, the name "Sengan" comes from an anecdote of the earlier the Age of Civil Wars; when Nobunaga Oda invaded the Osaka (Ishiyama) Hongan-ji Temple, which was located on this site, Nobunaga's soldiers were exposed to an attack from a turret attached to the temple, which was so intense that they murmured among themselves: "That turret is worth Sengan (a large amount of money)."